Despite my few number of posts, by now you would've noticed that I do a lot of shopping at HM. Now before you start hating on my deal-searching tactics when it comes to shopping, let me share that this entire outfit was on sale at HM last year from a random drop in at their impressive union square store in San Francisco ( I officially give you all the more reason to hate on my stinginess hahaha!). The trick for me about randomly perusing sale racks is to search for a trendy article of clothing that i want to dare try or something totally out of my comfort zone. As far as I know, I do not like wearing pink. Or at least that is what I have always told myself. 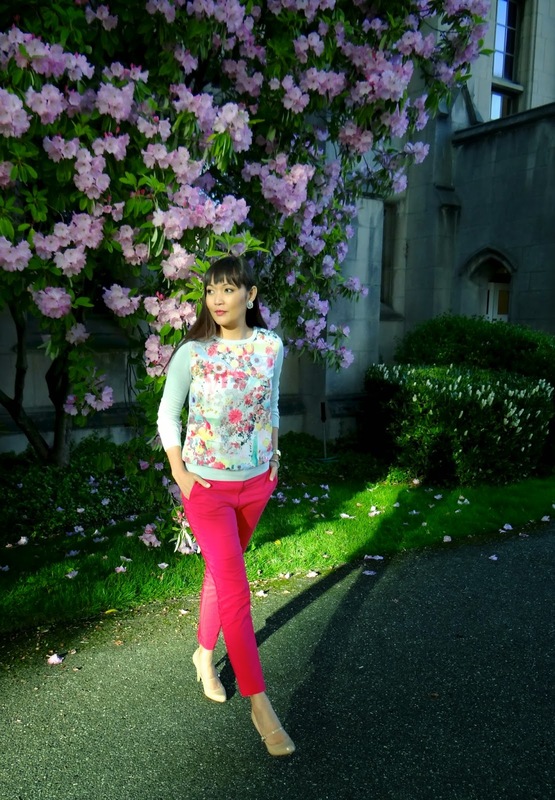 When I came across this pair of hot pink pants, I noncommitally told myself, hmmm I think maybe I can pull this off and a few minutes later, I saw this beautiful floral sweater that was so perfect for spring and decided that I scored and found an outfit. So the next time you scour a sale rack on a mall trip born out of boredom, maybe try taking an adventurous plunge of purchasing a deal of something you think you would never think of wearing. The florals on this top are cute! Very spring-like. ur so sweet, thank you, Francesca!!! Love the pants! Bright and fun. Lovely. thank you Courtney!! appreciate it! 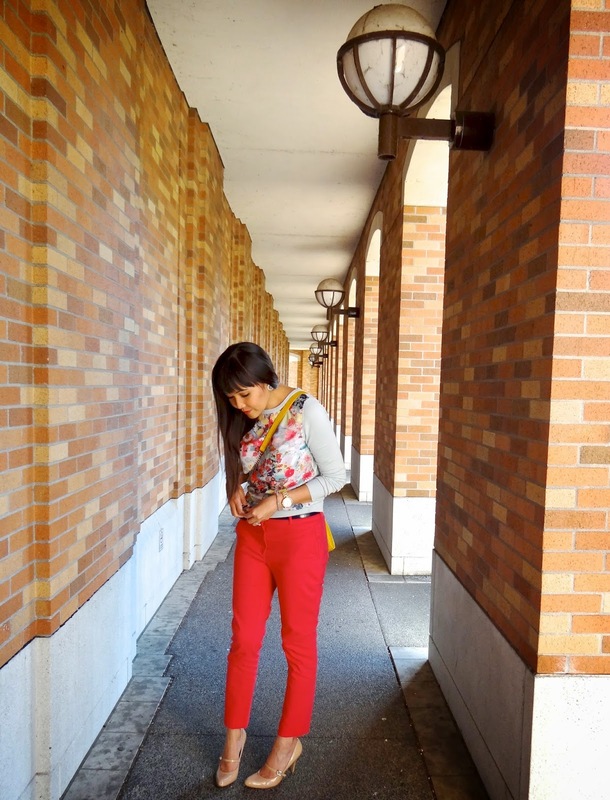 Fun and bright pants and I love it with your floral top! thank you so much, appreciate it so much! aaaww gabrielle, such a sweet and sincere compliment! thank you! as you can see, I am fairly new and I really really appreciate comments such as this! i'd be sure to check out your blog as well! again, thank you! I love all of this! (ps I may have posted this twice, sorry if I did!) The colors are great; so summery... and your makeup is perfect!